The fate of Kerry South was finally decided this afternoon as Fine Gael’s Brendan Griffin and Independents Tom Fleming and Michael Healy-Rae were elected as TDs at the Killarney Sports and Leisure Complex count-centre. Kerry County Councillor and Keel native Brendan Griffin was elected shortly after 1pm, having exceeded the quota of 11,096 on the fifth count with 12,636 votes. 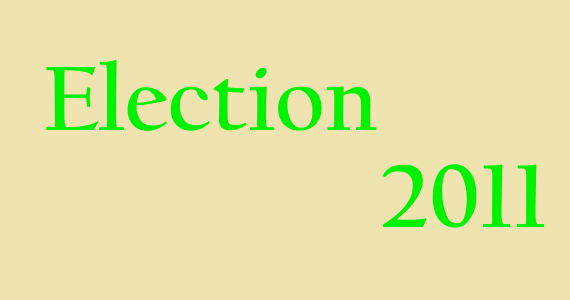 Count six saw Fleming (on 10,697) and Healy-Rae (on 10,326) elected – Griffin’s transfers failing to give running mate and sitting TD, Rathmore’s Tom Sheahan (on 9409) the push he needed to make the final seat. Neither Fleming nor Healy-Rae reached the quota. Fianna Fáil’s John O’Donoghue – who had been eliminated on count three – transferred well to both Fleming and Healy-Rae which was enough to stave off challenges firstly from Gleeson (eliminated on count four) and then from Sheahan (eliminated on count six). Brendan Griffin (FG), Michael Healy-Rae (Ind) and Tom Fleming (Ind) replace outgoing TDs John O’Donoghue (FF), Jackie Healy-Rae (Ind) and Tom Sheahan (FG) in Kerry South. Fine Gael’s Policy on the Irish language has caused great worry, upset and annoyance to many of my constituents, due to the proposal to change the compulsory status of Leaving Certificate Irish. As a Public Representative and Dáil Candidate, I share these sentiments and feel that this would be a regressive step in the development of the language. I agree that there is a pressing need to revisit how we teach the Irish language within our schools and many of Fine Gael’s proposals in this regard are meritorious. However, I believe that the proposal to remove the compulsory status of Leaving Certificate Irish has negative cultural and economic implications on a local and national level. I have made representations on the matter to Enda Kenny TD, Leader of Fine Gael, relaying to him the feedback that I have received from many of those concerned with the proposal. If elected a TD for Kerry South, I will prioritise this matter and intend to strongly lobby within the Fine Gael Parliamentary Party, to ensure that Irish is retained as a compulsory subject to Leaving Certificate level. For further information, please contact Brendan on 087 652 8841. The time for change is NOW. If elected, I am committed to taking a 50% voluntary pay-cut. Join our campaign for change today in Kerry South. KERRY County Councillor and Kerry South General Election Candidate, Brendan Griffin, has welcomed that the Department of Agriculture will begin issuing payment under the Grassland Sheep Scheme to Sheep farmers from next Tuesday. The scheme, which pays €10 per ewe to sheep farmers up to a cap of €2,200, was announced in April of 2010 but to date, no payment has issued to farmers. Councillor Griffin says that this is a much needed payment for farmers, particularly because of the harsh weather conditions of late and a general difficulty accessing credit. “Many farmers contacted me about this matter, some reporting severe cash flow difficulties as a result of having to spend up to twice as much as normal on feed to keep their sheep alive during the cold weather and many cannot get credit from financial institutions. “I contacted the Minister’s Office in December, requesting that action would be taken immediately to ensure no further delay in the payment of hard pressed farmers. “I also contacted Fine Gael Agriculture Spokesperson, Andrew Doyle, requesting that he would ask a Parliamentary Question on the matter. “It is unacceptable that farmers are still awaiting payment of a scheme that was announced last April. I sincerely hope that the payments will now issue as promised and that farmers will have no further unnecessary delay”. Note: The following link will take you the Minister’s Press Release (April 7th 2010), which announced the scheme. Also, correspondence with Minister’s Office follows. 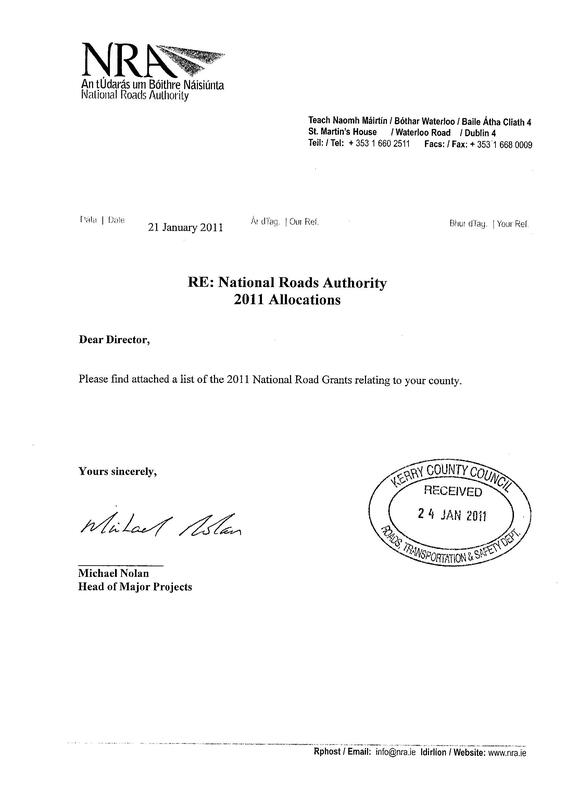 Today’s announcement by the NRA that €34.65 million euro is to be allocated towards National Roads in Kerry is good news for the County according to Fine Gael Kerry South General Election Candidate, Brendan Griffin. Cllr. 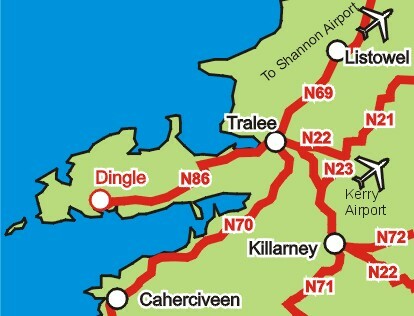 Griffin is particularly happy with the allocation of 18.88 million towards the Tralee By-pass and 4.93 million towards the N86 Tralee Dingle Road Improvement Project. However, there is a reduced budget for road maintenance in the county, something that is of major concern, especially given the condition of many of the county’s roads after the recent cold snap. Councillor Griffin has particularly welcomed €500,000 towards safety improvement works at the Kilderry Bends on the N70 Milltown to Killorglin road, an issue that he has campaigned on for many years and has had considerable contact with the NRA on. Cash Boost for KCC as Almost €1 million Returned by Department. SUBSTANTIAL funding of almost €1 million has been granted to Kerry County Council in respect of works carried out by the Council at Knightstown Harbour, Valentia. During discussions on the 2011 Council Budget, it was confirmed to Fine Gael Councillor, Brendan Griffin, that €936,432 was paid over to the Council by the Department of Community, Equality and the Gaeltacht in recent weeks. Cllr. Griffin had raised the issue of monies owed to Kerry County Council by Government Departments at the November Dingle Area meeting of the Council, during discussions with a deputation of Brandon Fishermen which he had organised. It emerged at that meeting that Kerry County Council had spent €8.91 million in 2007 on coastal protection works at Inch and Harbour works at Knightstown. However, almost €4 million of that sum was still owing to Kerry County Council by various Government Departments. In an effort to recover much needed finance for the Council and free up resources for possible capital projects such as Brandon Pier, Cllr. Griffin submitted a motion to the December full meeting of Kerry County Council, requesting the Council to call on the relevant Government Departments to meet with a delegation from Kerry County Council with a view to reimbursing the Council with the outstanding sums. Cllr. Griffin says that he is happy with this development but that more work needs to be done. “I am glad that this money has been paid over to Kerry County Council by the Department but I will not be happy until the remaining €2.98 million is paid to the Council in respect of the works at Inch and Knightstown. “I have sought for a delegation from the Council to meet with representatives of the Departments owing these monies and have asked to be part of that delegation. If this money is recovered, we would have a much better chance of making progress on much needed infrastructural improvements in the county. “The recovery of this finance is one of my main priorities for 2011, as this is an enormous amount of money in the current climate. €3 million would go a long way in Kerry at the moment. Half of that sum would extend Brandon Pier and widen Listry Bridge for example. KERRY County Councillor, Brendan Griffin, has requested that the Minister for Agriculture, Brendan Smith, would immediately prioritise the issuing of the Grassland Sheep Scheme payment to Sheep farmers. Councillor Griffin says that this is a much needed payment for farmers at present, particularly because of the harsh weather conditions of late. “Many farmers have contacted me about this matter and some have reported severe cash flow difficulties as a result of having to spend up to twice as much as normal on feed to keep their sheep alive. “I have contacted the Minister’s Office, requesting that action would be taken immediately to ensure no further delay in the payment of hard pressed farmers. “It is unacceptable that farmers are still awaiting payment of a scheme that was announced last April”. Note: The following link will take you the Minister’s Press Release (April 7th 2010), which announced the scheme. THE HSE has been urged to reduce car parking fees at Kerry General Hospital by Fine Gael County Councillor for Mid and West Kerry, Brendan Griffin, who is a member of the HSE South Regional Health Forum. Cllr. Griffin raised the matter at this month’s meeting of the forum, asking what is the annual revenue generated by car parking fees at Kerry General Hospital, including details of overall income and outlays and what is done with the surplus of this revenue. The HSE responded that the annual revenue generated by car parking fees at Kerry General Hospital is approximately €678,129, after 21% VAT has been paid to the Revenue Commissioner. The annual outlay for the car park is approximately €296,000. This is mainly accounted for by staffing costs and car park maintenance. The HSE went on to say that car parking forms part of the income of the hospital and that after the above outlays are provided for, car parking monies generated are utilised to provide direct patient care at the hospital. However, Cllr. Griffin has since written to Mr. Ger Reaney, Hospital Networks Manager for Cork and Kerry, urging the HSE to review parking fees in view of the substantial profits being made. In his correspondence to Mr. Reaney, Cllr. Griffin said that the figures provided suggest that a net profit of €382,129 is generated by the HSE for car parking fees at the hospital and that he had issues with the fact that sick people and relatives and friends of sick people are, in effect, being forced to contribute over €2,350 every day of the year for a service that they are already being heavily taxed for (Total Revenue Generated (€858,391.14). He added that of this daily figure, over €1,000 is clear profit for the HSE (€1,047) and almost €500 goes directly back to the State in the form of VAT (€493.87 per day, €180,262 per annum) and that ultimately, the combined profits for the State and HSE from KGH Car Parking fees is well over half a million euro per annum (€562,391). Cllr. Griffin said that he sees this as an unfair tax on the sick people of Kerry and their families and that he has received numerous complaints from members of the public about excessive fees for car parking at KGH, which range from €3 per hour to €12 per day. He said that he accepts the need for a regulated parking system at the hospital, but would argue that there is room for a substantial reduction in fees. Cllr. Griffin also sought a breakdown of the €296,000 outlay cost for the car park, as this represents a figure of €811 for every day of the year. Cllr. Griffin is currently awaiting a further response from the HSE the matter. For further info, please contact 087 652 8841. For An Daingean Electoral Area Meeting Scheme. The scheme has been extended at the eastern end to Camp Junction – which is thejunction of the N86 and the R560 (Connor Pass) including junction improvements at this location. EIA Screening: Ryan Hanley WSP have submitted final Screening Report recommends that an EIS is required for the scheme. Recommendation has been issued to An Bord Pleanala. EIS RPS Consulting Engineers (Cork) commenced work on 3rdSeptember 2010. Currently undertaking fieldwork/baseline surveys. Alignment/ Design: Preliminary alignment will be finalized in December, following which, it will bemade available to the public.EIS/CPO EIS/CPO to be published in June 2011 Annascaul to Gortbreagoge It is proposed to advance a 4km section of scheme between Annascaul and Gortbreagoge to construction in 2011. Part 8 will be initiated in March 2011, withconstruction commencing in August 2011. It is proposed to acquire lands byagreement and initial discussions have commenced in this regard.